LazyMan (formally Chicago Combustion Corp) started as a burner company and is also known as the inventor of the gas grill. The company has been in business since 1932. We patented our first gas broiler in 1939 which evolved into the outdoor gas grill you know today. Today our products are handmade at our factory in Belvidere, New Jersey. Nobody has the rich history that LazyMan does. We produce the highest quality grills on the market today. We are constantly making evolutionary changes that make the product last longer and work better. 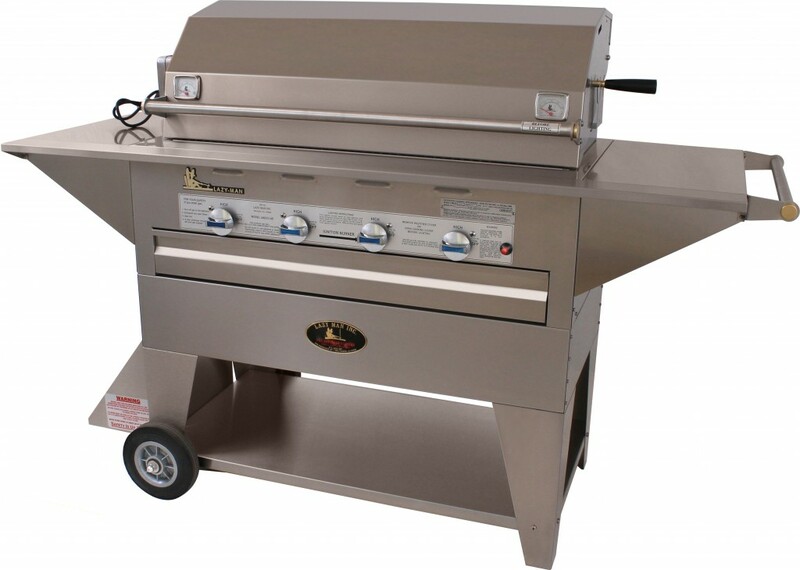 It is not uncommon for our grills to last 20-30 years before needing replacement parts. We also make our parts backwards compatible – never obsolete! Our freestanding grills and utility stoves come pre-assembled. Simply hook them up to your gas supply and get cooking within minutes of unboxing. 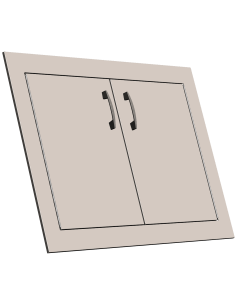 For our built-in grills start with the cut-sheets. You will need to drop into your counter and have an installer hook up the gas supply. Check out our support documents to help you get started. 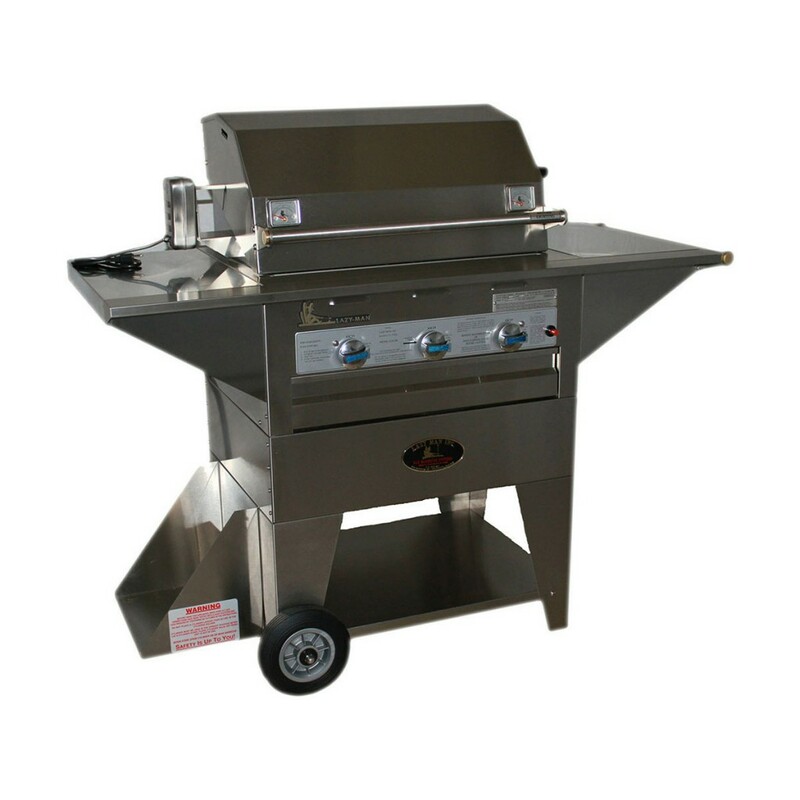 Three burner unit, stainless steel outdoor gas-fired barbecue with two large side shelves. Three stainless steel burner (12,000 Btu ea.). Heavy Duty base with tank holder in back – Bolt down, Freestanding or add castor wheels. Built from the basis of the LM210-40 grill the custom cart is the ultimate in grilling luxury. 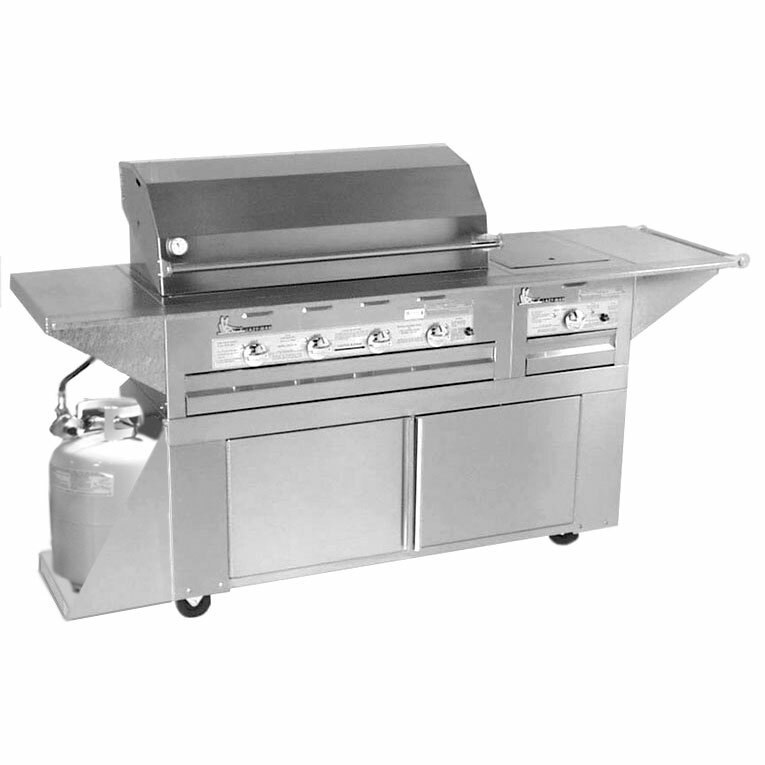 This grill comes standard with a large preparation space on either side of the grilling surface. Ample storage under the grill with heavy duty double stainless steel doors – a place for all your cooking supplies and accessories. 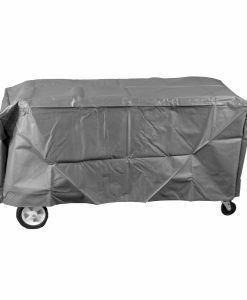 The liquid propane version of the unit contains with a custom tank holder on the side of the unit as to not waste valuable storage under the grill. Four Durite stainless steel burner (12,000 BTU). NOTE: The pictured displayed is for representation purposes only! The LM210-40 pictured is matted to a LM210-20 utility burner. This item is for the LM210-40, four burner grill ONLY. 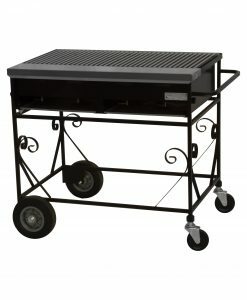 Built from the basis of the LM210-28 grill the custom cart is the ultimate in grilling luxury. 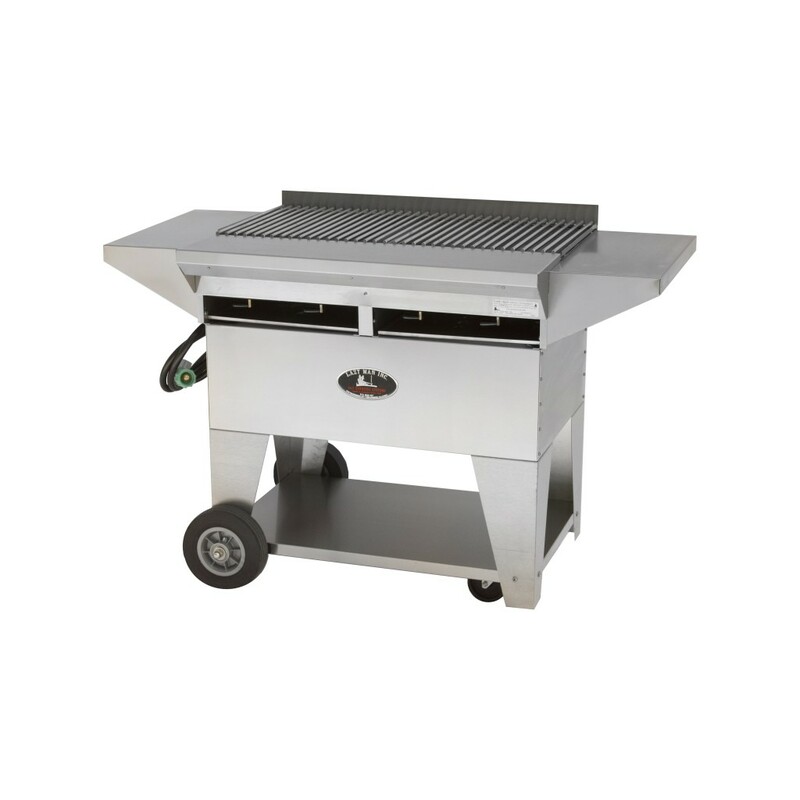 This grill comes standard with a large preparation space on either side of the grilling surface. Ample storage under the grill with heavy duty stainless steel door – a place for all your cooking supplies and accessories. 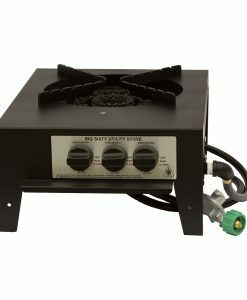 The liquid propane version of the unit contains with a custom tank holder on the side of the unit as to not waste valuable storage under the grill. Three Durite stainless steel burner (12,000 BTU). 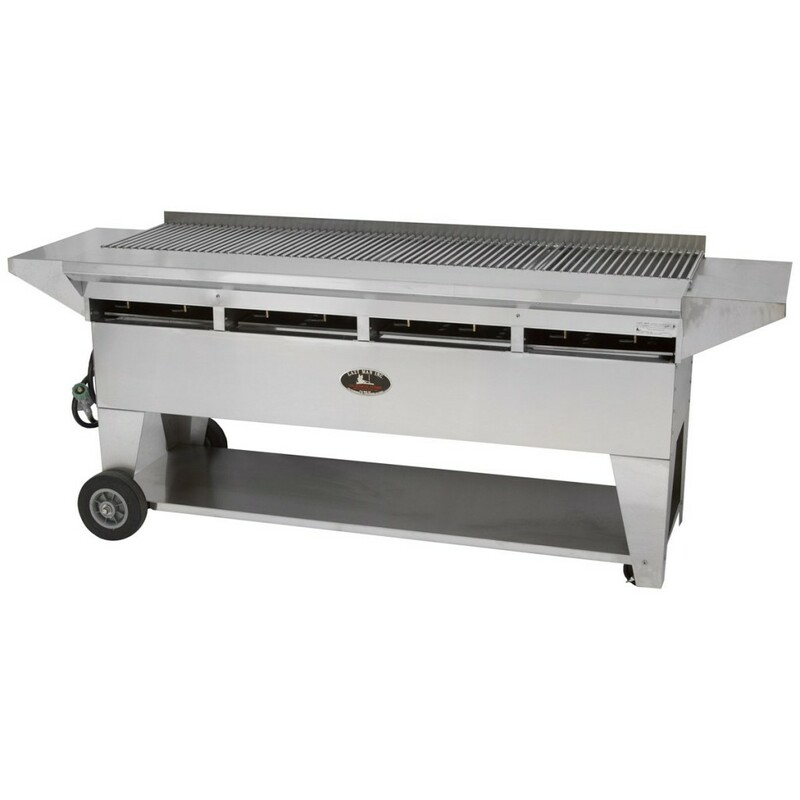 Gourmet series mobile grill featuring 4 firebox sections on a stainless steel mobile base. Perfect for party’s, catering, or anywhere else you need high volume cooking in the least amount of time. 8 Stainless Steel burner tubes. Stainless Steel nuts, screws, and bolts.  Heavy Duty 8″ rear wheels. NOTE: Default for big 60 upgrade is on the left side unless stated otherwise in special instructions or by contacting the office. Please choose from the options below to order your custom Model A4 Elite BBQ Grill. 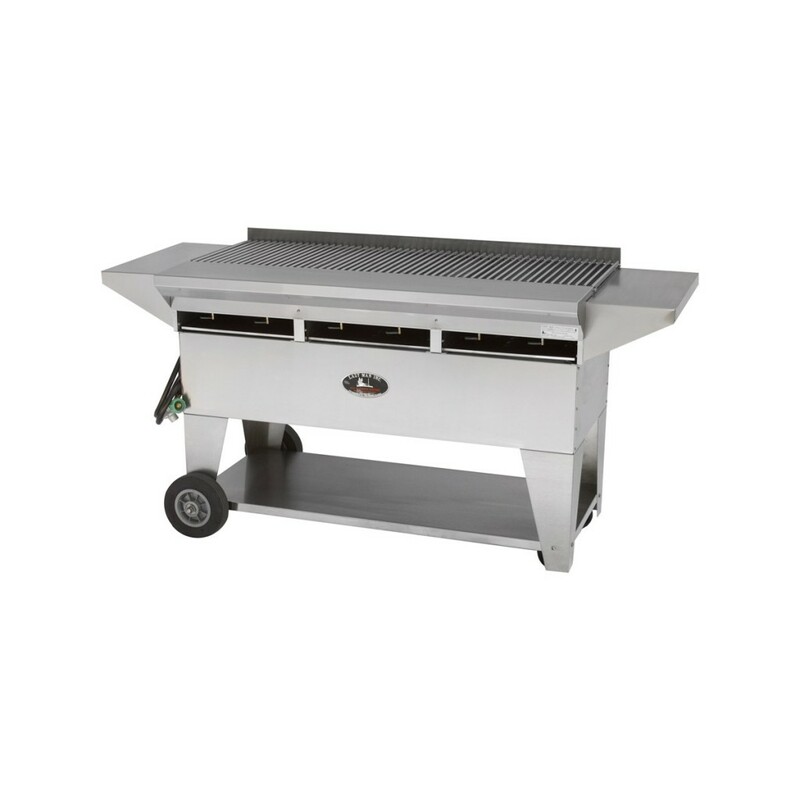 Gourmet series mobile grill featuring 3 firebox sections on a stainless steel mobile base. Perfect for party’s, catering, or anywhere else you need high volume cooking in the least amount of time. 6 Stainless Steel burner tubes. Heavy Duty 8″ wheels rear. Please choose from the options below to order your custom Model A3 Elite BBQ Grill. 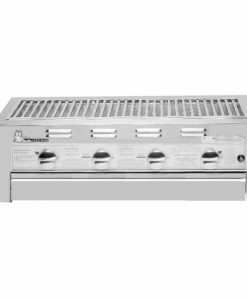 Gourmet series mobile grill featuring 2 firebox sections on a Stainless Steel mobile base perfect for party’s, catering, or anywhere else you need high volume cooking in the least amount of time. 4 Stainless Steel burner tubes. Please choose from the following options below to order your custom Model A2 Elite BBQ Grill. 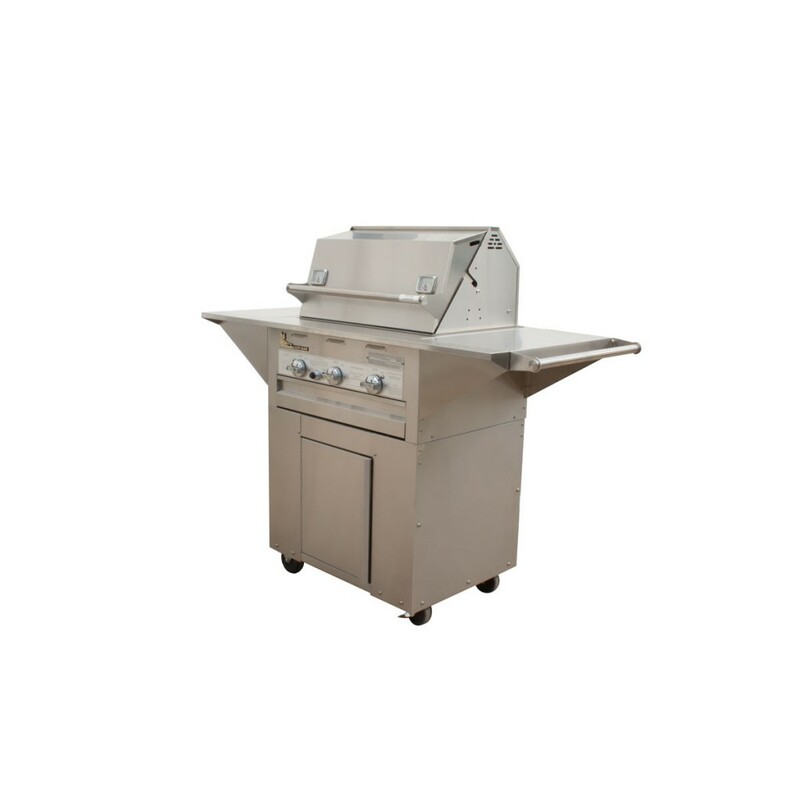 Four burner unit, stainless steel outdoor gas-fired barbecue with two large side shelves and an open cart design. This model can be customized in different broiler burner/surface burner combinations. Four independently controlled Durite stainless steel burners (12,000 BTU). Stainless Steel hood with comfort cool handle. Three Durite stainless steel burner (12,000 BTU’s each).